on another note...our house is almost done being decorated and i can taste christmas in the air it's the most amazing thing ever...oh i'm such a christmas nerd.eeeeh! and yes i've been caught watching the numerous cheesy christmas movies on tv one after another after another. (yes i'm a christmas movie junkie too. oh boy!) 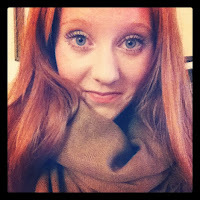 hehe it's finally cold enough outside where it feels like winter too! so i have to admit i started listening to christmas music in november...but i'm still not sick of it yet, and probably won't hehe. but anywayssss i was thinking of how weird i am today...weird i know. but do any of you guys just come up with the cutest outfits when you really have no where to go...and then when you have to come up with something good...the fashion juices just don't flow?....well, it's been happening to me so much lately urghhhh. it's kinda funny though yeah? have a sugarplum filled rest of the week! your tree looks gorgeous! i love your nail polish and scarf! Sounds like you're getting into the holiday spirit! How incredible is your manicure! Love the sparkle! I can relate to having a great outfit for non-events, and vice versa. Hope you feel much better soon! Cute outfit! I just love love love tights under shorts. Great post! your hair is so pretty and i love those shoes! That is such a cute blazer!!! I love your hair. Love this outfit you look so cute love it!!!! 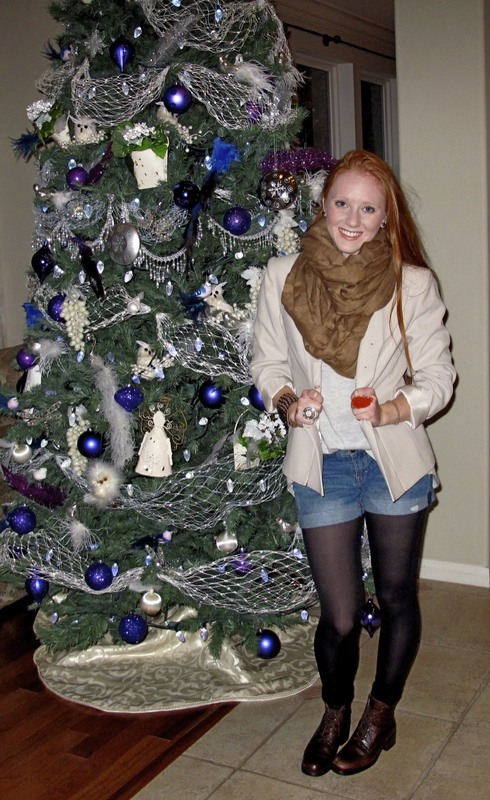 These are really nice photos I really like your outfit and your boots and shorts especially! well aren't you just looking oh so chic in that blazer!!! soo fabulous in the rain!! such a festive manicure...and love the cuff!! Sorry you were sick with the flu, that's the worst. I love this post and you have gorgeous hair. This outfit is so fun and chic though with the denim and tights under. Eeep, looks pretty cold and miserable there! Glad you're enjoying the Christmas music however! Cute cute cute just cute!!! Complimenti ha dei bellissimi capelli! Oh I love your nails!! wow, your hair is so pretty!! Love your nail polish and jewellery! I'm so envious of your hair! This looks so comfy cozy! I'm so jealous of your holiday break! thank's fro the comment baby ! thank you so much for your lovely comment on my blog. i'm now following your blog. 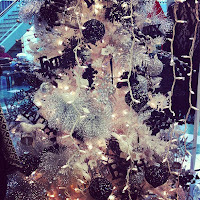 your christmas tree is so pretty, and organised. mine is lopsided and messy, just the way I like it, haha. love he blazer and the shoes. great look, your hair color is fantastic! I'm in love with your outfit! You look very cute! 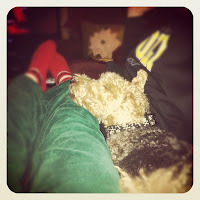 I have just found your blog, and I think it's so nice! it really seems you're getting into Christmas spirit! 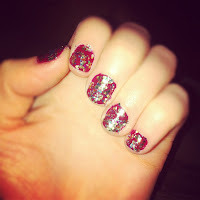 love how you painted your nails, I'm rubbish at nail art so I admire anyone who knows how to do it! 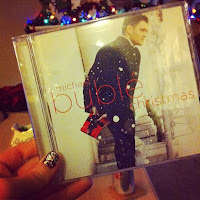 love the michael bublè Christmas cd, I got that too, it's amazing and it really makes you feel Christmassy and festive!! and then, I looooove your hair! I really wish I had your hair colour, so jealous!! anyway I'm following now you on twitter and facebook! Cute look. I love your scarf. Hi dear! I'm so glad you liked my blog! Thanks a lot for following me! 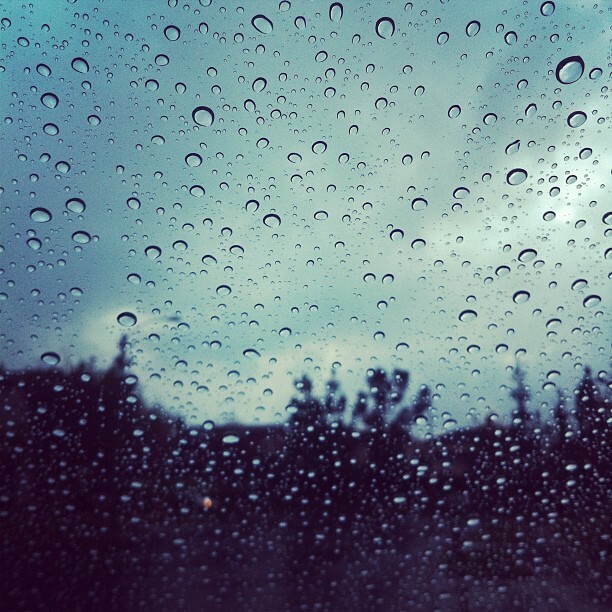 I love your pics! I'm following you too now! Love your blazer, scarf and adorable nails! thanks for your sweet comment & for following me, i am following you back! 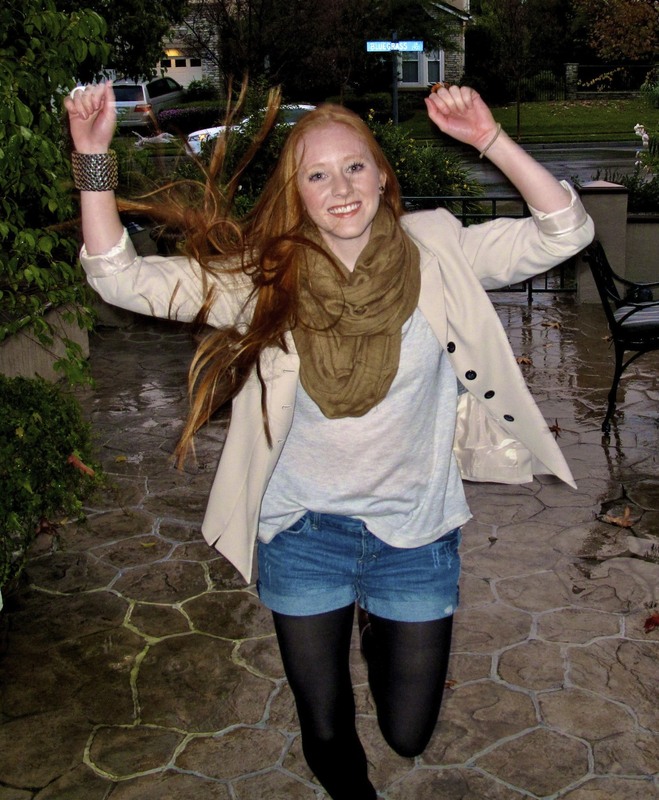 your blog is pretty awesome and you have killer hair!! 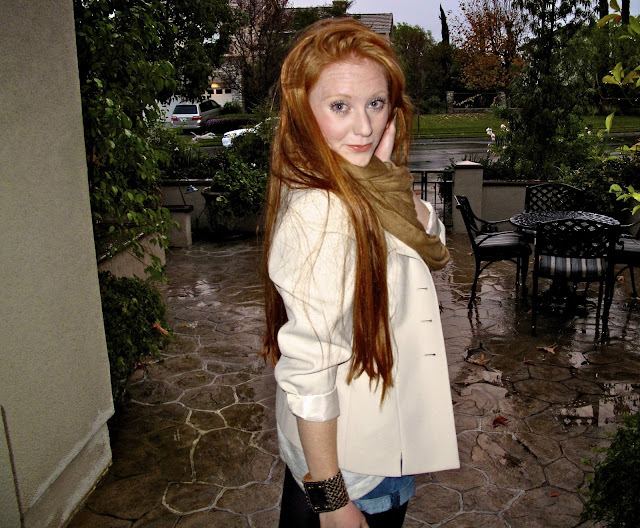 i love your blog, and your hair is amazing!! SO cute! I love the addition of the big scarf, it adds some great colour and texture, and the rest of the outfit is perfection! Also those nails are so festive...I am so NOT crafty enough to even attempt sparkle, but I'm going to try today anyway and miserably fail haha. Hope you're having a good week so far love! amazing style, i love it! i need to finally purchase the michael buble xmas album - i love all of his other stuff! I THINK YOU HAVE A GREAT SENSE OF STYLE....AND YOUR BLOG IS SO COOL!!! 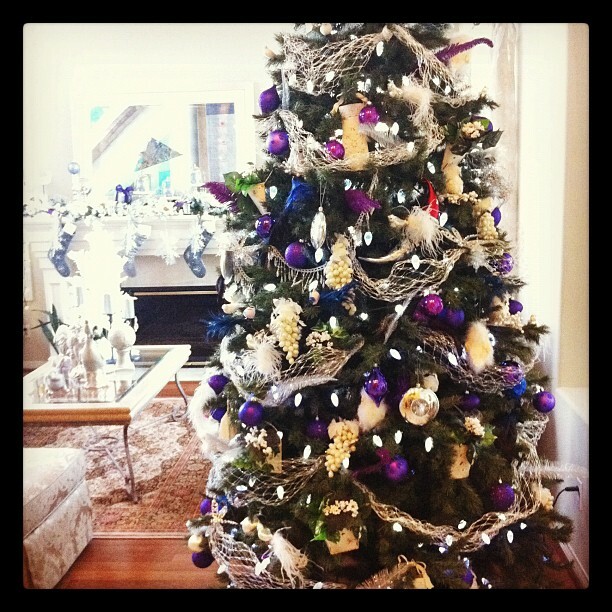 Love the shots of you by the Xmas tree. 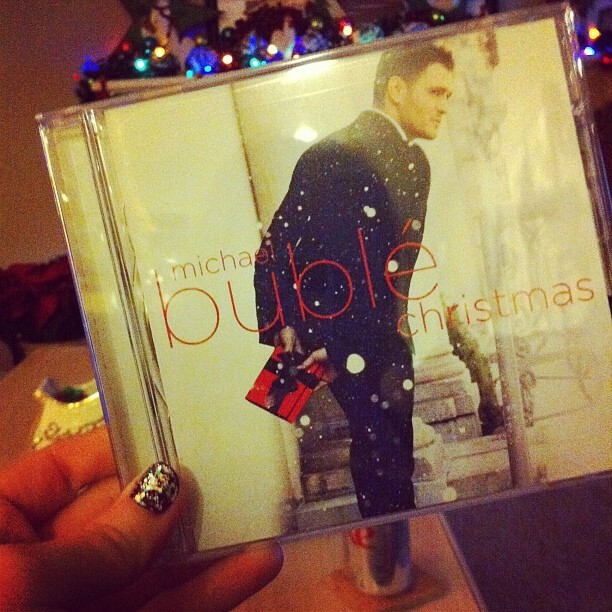 I have the Michael BBuble Christmas album on constant repeat!! 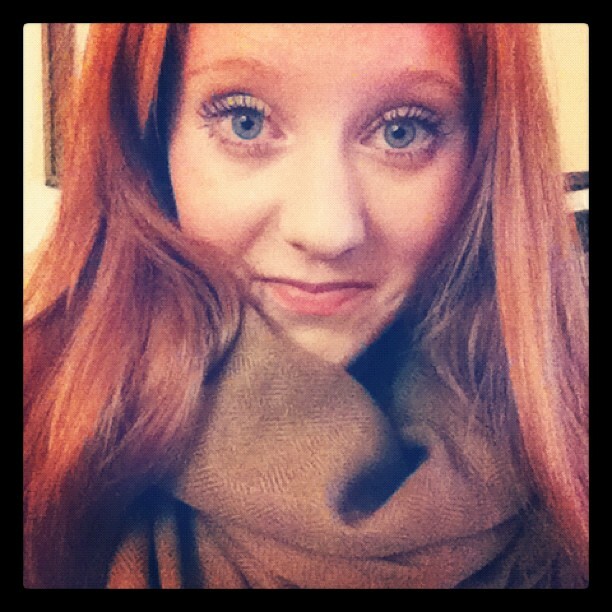 you look so warm, cozy and absolutely beautiful :D I love these cheerful holiday pics! Very nice outfit, love your cardi! Oh goodness, I am ever so slightly obsessed with your blazer and lovely, lovely hair. ABSOLUTELY love love love this look! So effortless and fun!